Beautiful small apartment house "Rose". On the outskirts, 500 m from the centre, on a slope, south-west facing position. Shop, grocery, supermarket 500 m, restaurant 350 m, railway station 500 m, outdoor swimming pool 900 m, indoor swimming pool 500 m. Tennis, cable car, ski lift 500 m, ski school, children's ski school 600 m, ice field 500 m. Please note: arrival via mountain railway. There are more similar properties for rent in this same residence. The house has been newly built in chalet style. 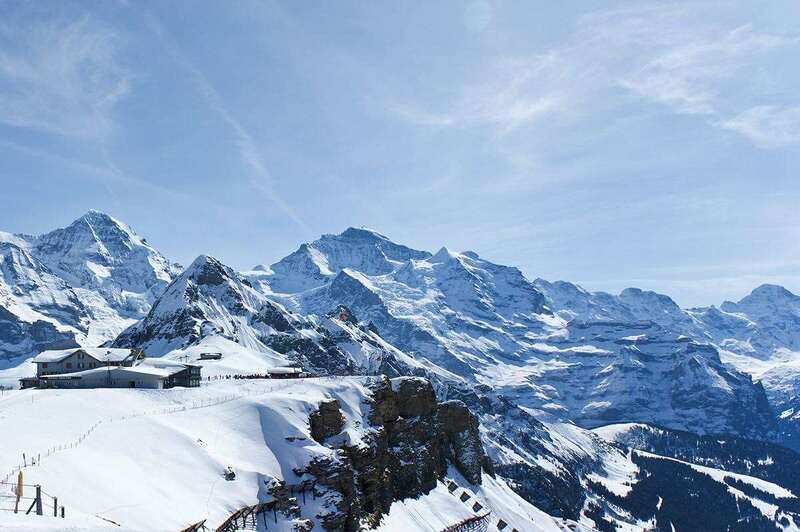 ,Arrival is only possible by train from Lauterbrunnen – 14 minutes driving time. 1-room apartment 20 m2 on 2nd floor, partly renovated in 2010, beautiful furnishings: living/dining room with 1 double bed and cable TV (flat screen). Exit to the balcony. Kitchenette (2 hot plates, microwave). Shower/WC. Balcony, south-west facing position. Terrace furniture. Very beautiful panoramic view of the mountains and the valley. Facilities: Internet (WiFi). Maximum 1 pet/ dog allowed.